You built your business. Why not build your database? You don’t need a computer science degree to build an outstanding inventory management solution. I’ll show you how. 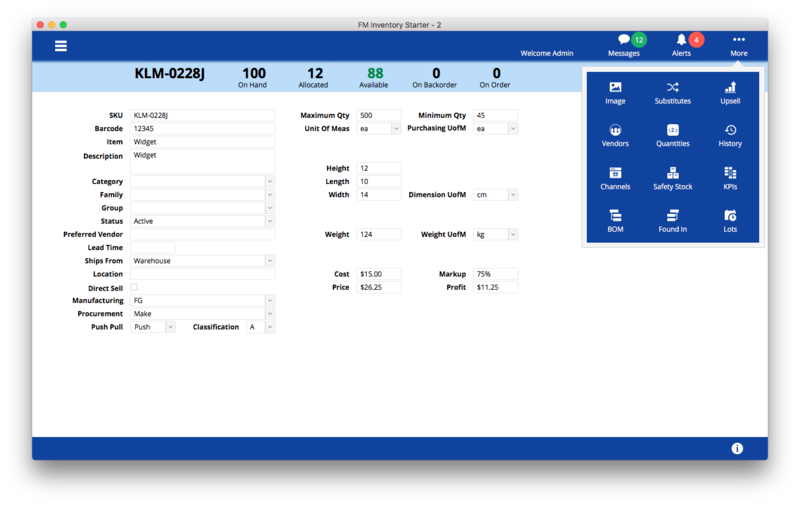 FM Inventory Starter is a free and flexible foundation that is great for warehouses, distributors, and manufacturers. Ready to DIY your inventory management system? The Foundation Bundle includes four courses: Overview, Order Types, Storing Quantity Values, and Inventory Transactions. That’s 80 lessons, 14 videos, and 9 downloads. All for 25% off. Don't worry. You're not alone. If software application development is not your day job, then you might feel overwhelmed at the prospect of building your company’s inventory management system. And that's completely understandable. If you get to a point where you feel overwhelmed and need professional advice, then schedule an appointment with me. I’m happy to help you in your project and the first call is complimentary. One call might do the trick, but if you need ongoing support, I can help with that too. Many years ago when I was asked to build my first Inventory Management System I looked around for resources to teach me how. What I found is that most instruction on the FileMaker platform is about getting new users up and running in FileMaker. But I had that. I was a full-time FileMaker developer at the time. What I needed was instruction on how to create a complex inventory structure with a tool that I love. I didn't find anything, so I learned by trial and error.Fast forward to 2017. Having a number of inventory systems "under my belt" I went looking for inventory resources for the FileMaker platform. I still didn't see anything. That's when I decided to create FileMaker Inventory Resources - a collection of free articles and demo file to help users create the inventory system they want.FileMaker Inventory Resources was well received and I wanted to build upon that success to further meet the need for business owners to create their own inventory systems. I didn't want to create an off-the-shelf solution (a.k.a. Plug and Play) as I believe them to be too limiting. Rather, I wanted to create a tool that would give the business owner a great deal of flexibility when creating their own Inventory Management System.FM Inventory Starter is that tool. And these courses help the DIY business owner to unlock the possibilities! Buy something that wasn’t useful? New Leaf Data, LLC offers a risk free guarantee. For any courses that wasn’t useful, just let us know within 48 hours of the purchase. For bundles, let us know within 7 days of the purchase.